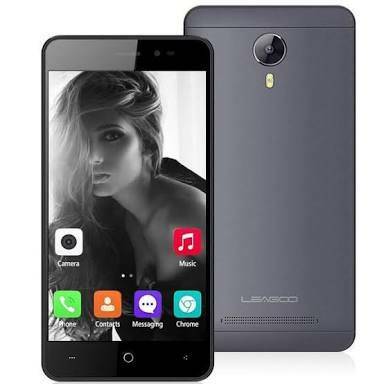 Leagoo Z5C is an entry-level smartphone from Leagoo. The company is known for making budget friendly smartphones that gives great value for money. The Z5C has been trending on Shopping stores for quite a while now due to its affordability. Internally, the phone houses low-level specs that’s perfect for those on a budget and light specs. Boasts of a compact 5-inch screen, 1GB RAM, 8GB storage and other features. Lets meet the Leagoo Z5C. What is Leagoo Z5C Price and Availability Status? Like most budget smartphone, it has a Plastic body that’s removable. The body looks simple and sophisticated as well, with dual sleek antenna lines. At first glance, we can see it has no fingerprint scanner whatsoever at the rear. The rear camera sita at the top middle with the dual-LED flash coming underneath. The Leagoo logo is seen underneath, just above the loudspeaker. It measures 8.9mm in thickness and weighs 147g overall. You can get it in Black, Champagne and White colors only. Ships with lots of bezels as expected, but the narrow bezels are very minimal compared to some budget smartphones. Three navigation buttons are visible at the bottom bezel, while the top houses the usual features. The 5-inch FWVGA TFT capacitive touchscreen is perfect for small screen lovers on a budget. It boasts of 480 x 854 pixels in resolution and 196 pixel per inch density for clear visuals. Overall, the screen stretches up to 67% screen to body ratio. Under the hood is the Spreadtrum SC7731G chip with quad-core processor and 32-bit CPU architecture. The 4-cores of processor runs at a speed of 1.3GHz with 28nm process technology for a fast ride. Handling graphics is the ARM Mali-400 MP2 graphics processor with 2-Cores. There’s just 1GB of RAM space available here for all your light multitasking, it has a memory speed of 533MHz. While for storing files, 8GB storage space is available and upgradeable up to 32GB using a memory card. 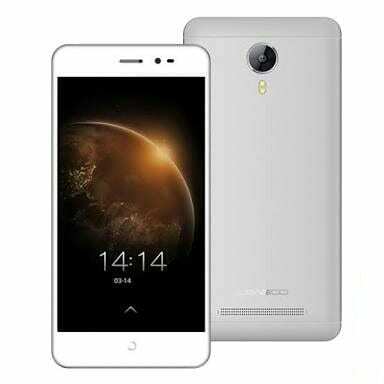 The Leagoo Z5C runs on Android 6.0 Marshmallow with modified user interface. The 5MP rear camera has f/2.4 aperture with 3P Lens and Hynix Hi-553 CMOS BSI Sensor. The camera comes a dual-LED flash and other features capturing photographs with 2592 x 1944 pixels ib dimension. While the 2MP selfie shooter has f/2.8 aperture and GalaxyCore GC0409 for cute selfies. Powering the Leagoo Z5C is a 2300mAh removable Li-Ion battery with no fast charging technology. Even without the fast charging feature, it shouldn’t take up to 2.5 hours to fully charge up the battery from 0% to 100%. The Leagoo Z5C is available on Shopping stores from $39 (N10,000) to $69 (N20,000). Click on the links above to view the latest Leagoo Z5C price & availability on Shopping stores.